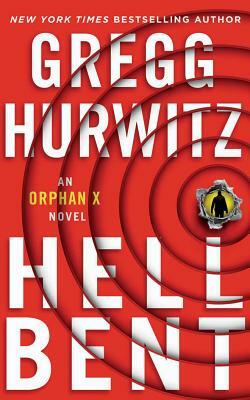 Evan Smoak--government assassin gone rogue--returns in Hellbent, an engrossing, unputdownable thriller from Gregg Hurwitz, the latest in his #1 international bestselling Orphan X series. But this time, the voice on the other end is Jack Johns, the man who raised and trained him, the only father Evan has ever known. Secret government forces are busy trying to scrub the remaining assets and traces of the Orphan Program and they have finally tracked down Jack. With little time remaining, Jack gives Evan his last assignment: find and protect his last prot g and recruit for the program. But Evan isn't the only one after this last Orphan--the new head of the Orphan Program, Van Sciver, is mustering all the assets at his disposal to take out both Evan (Orphan X) and the target he is trying to protect.